Valentine’s Day decorations aren’t just for kids. 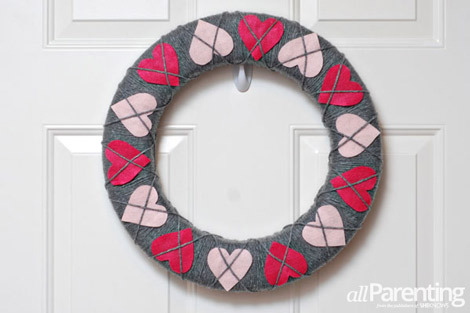 Moms can make an adorable argyle Valentine’s Day wreath in any color combo to match their home! Do you feel a little bit stumped on how to decorate for Valentine's Day? 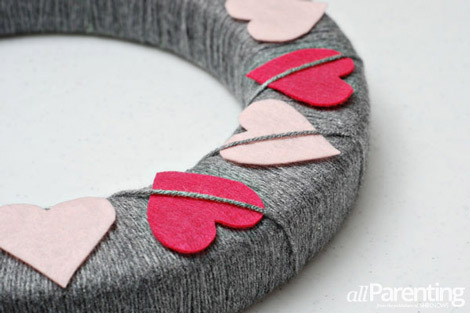 I know I always did, until I came across this completely adorable Valentine's Day wreath project, inspired by Kara from Mine for the Making. 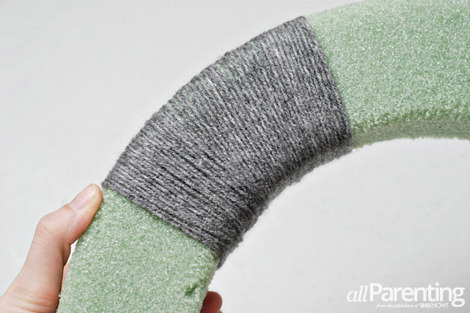 Check out these easy steps to make one for yourself! 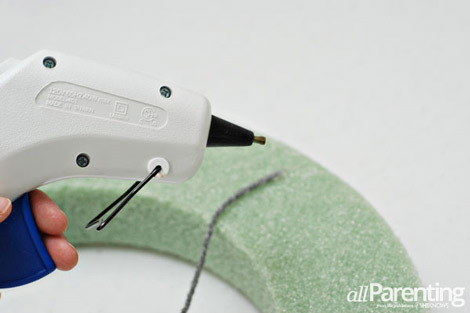 Put a dab of hot glue on the back side of the Styrofoam wreath form to glue the end of the yarn in place. Start wrapping the yarn around the wreath form. Now would be a good time to put on your favorite movie and open a bottle of wine. Wrapping the wreath is not difficult, but it does take a while. Be sure that you wrap it tight enough so that none of the wreath form shows through. Keep wrapping until the entire wreath is covered. 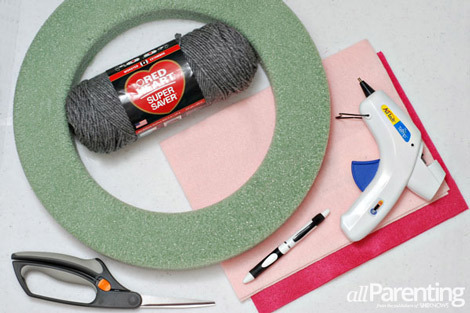 Glue the end of the yarn to the back of the wreath with hot glue. 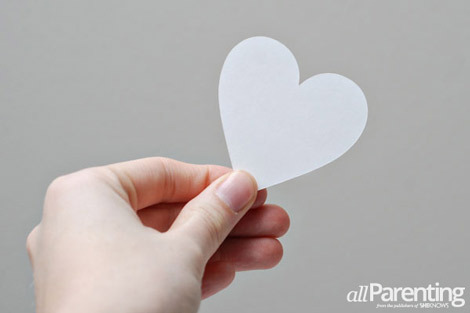 Cut out a heart shape from a piece of paper. Make sure that the heart is small enough to fit on the front of your wreath. 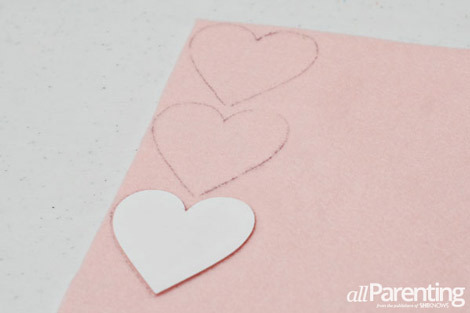 Use the paper heart as a template to trace heart outlines onto the felt. 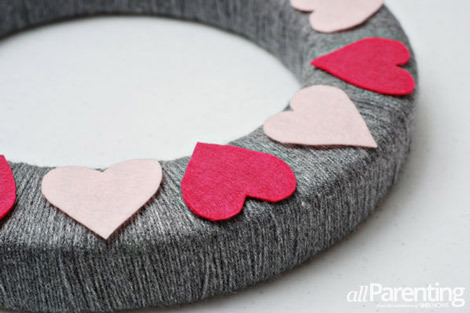 Cut out the heart shapes and make sure you cut out enough to go all the way around the wreath. 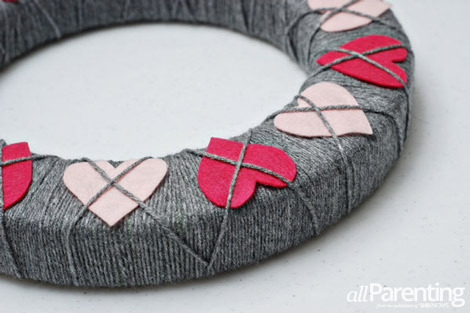 Lay the hearts out on top of the wreath, alternating color and direction. 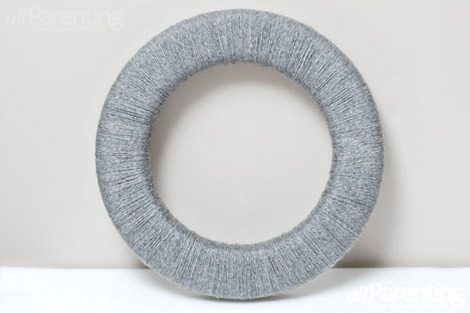 Grab your yarn again and glue one end to the back of the wreath. Start wrapping the yarn over the top of the hearts so that it will form one half of an "x." Once you have crossed over all of the hearts, switch direction and cross over the hearts in the other direction, forming the other half of the "x." Hot glue the end of the yarn to the back of the wreath, and then hang your wreath!